A Galera visit wouldn’t be complete without a trip to White Beach, one of the famous spots in the municipality of Oriental Mindoro. I knew that there was going to be a lot of gay guys there but I didn’t expect the deluge of glitter and rainbows when I arrived there. Notice the IQ poster with the colors of the rainbow? It promotes a sort of bathhouse in Pasay City. This poster alone shows the accepting atmosphere of White Beach. My sister and I tried to debate the science behind why so many gay guys go here during the summer. We also debated the meaning of this curiously-named bar. A sample of Galera’s gay scene. There was even a hostel where all the guests seemed to be gay. I swear, the place is so fabulous (note the lisp) that at one point, I heard one stall playing Madonna’s Sorry while another played Vogue. For a second there, I thought I found heaven. 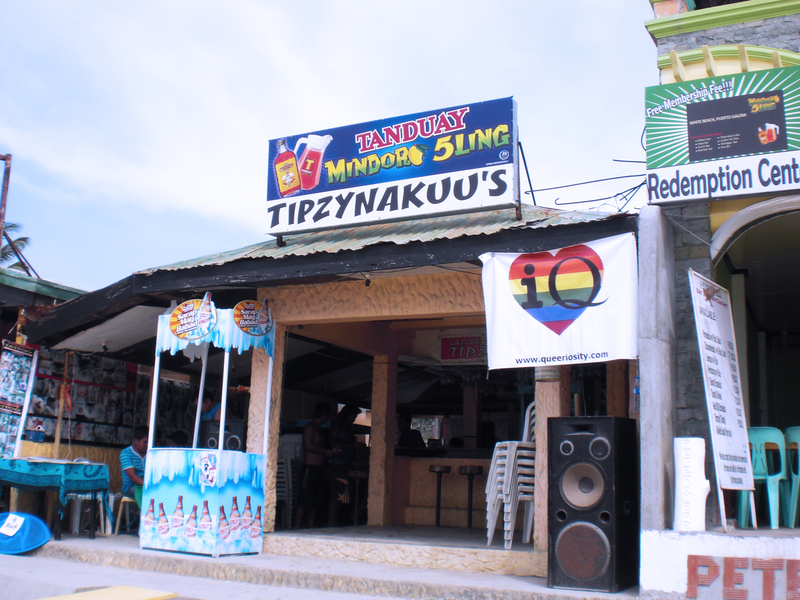 Unlike its more upscale counterpart (Boracay), Puerto Galera offers tons of cheap eats. 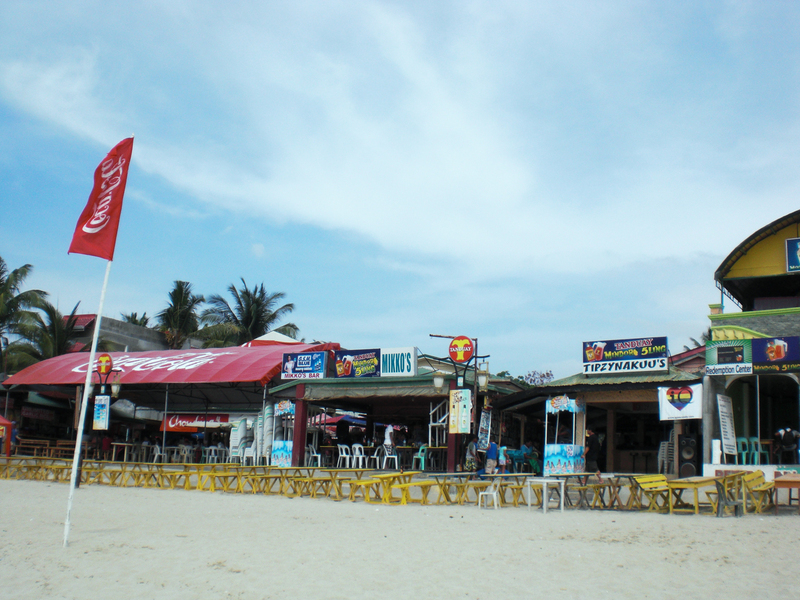 The beach strip is lined with bars, restaurants and stalls that sell everything from buko juice to articles of clothing. I didn’t really like the stuff they sold, which were typical tiangge finds. I did buy anklets for me and my siblings, which we still wear now. If men in Boracay peddle water activities, here they peddle pearls, accessories and darts. I think the stuff they sell are authentic because they have IDs issued by the DTI (assuming these are authentic). While the shopping was disappointing, the food was incredible. We ate at a joint called Crazy Gurl. Don’t ask. The beach was okay. The sands weren’t white but it had a lovely consistency. 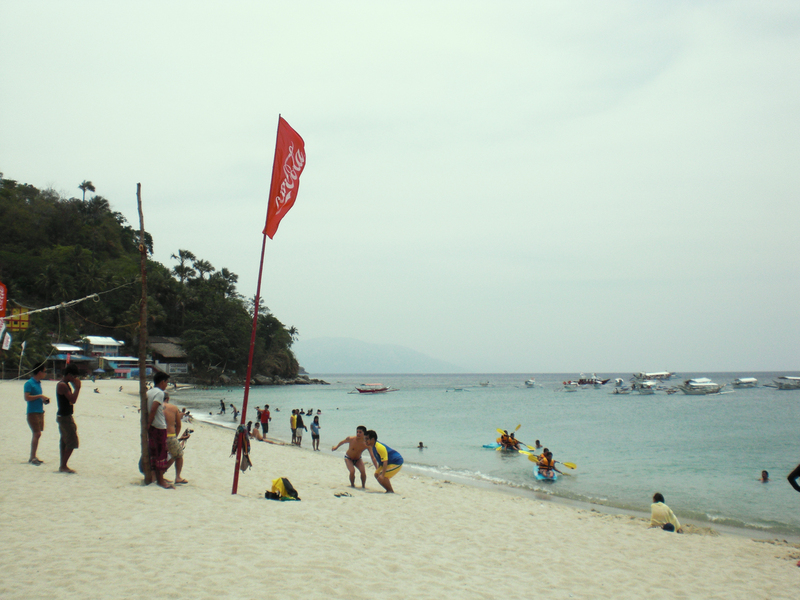 I might stay in White Beach the next time I go to Puerto Galera. I love the serenity of Aninuan Resort but sometimes it’s nice to be at the heart of the action. 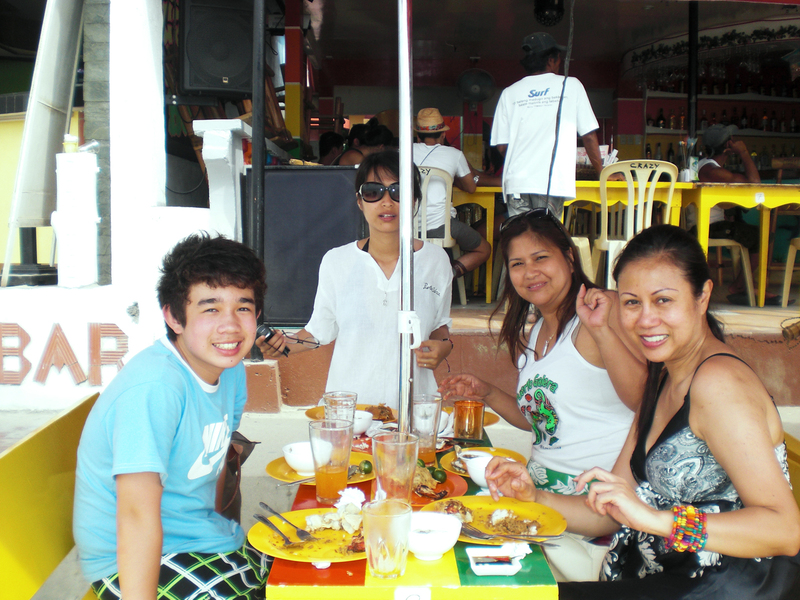 Plus it’s nice to go to Galera because everything is cheap from the lodging to food. I even saw a spot where you can rent a tent for P300 a night. However, if I push through with visiting the beach again, I’m going with my friends. It doesn’t seem to be a family oriented place. Nota bene: I’m going here when I’m single.